Matthew studied Town & Regional Planning at the University of Dundee and graduated in 2015. 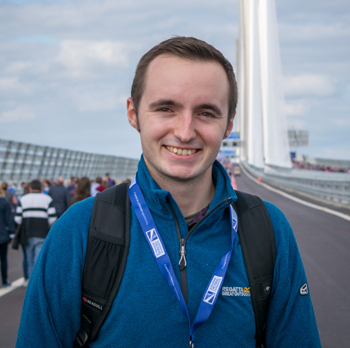 With a strong interest and passion for transport, he has worked alongside a number of organisations including Energy Saving Trust, Transform Scotland, Dundee Museum of Transport and SYSTRA. His experience across multiple sectors in transport has allowed him to gain unparalleled experience and knowledge, "topping-up" regularly at various CPD events and in his own time through independent research. Matthew's current and primary role is with SYSTRA where he works alongside their Edinburgh-based team, assisting developers with transport planning advice, assessments and various other projects. His professional interests include sustainable transport alternatives, innovation and consultation. In Matthew's spare time, he is a keen cook, often seen rustling about the kitchen attempting something new. He is also a keen hillwalker, venturing across the many hills and trails in Scotland and the north of England when the time allows. Matthew has been involved with the CILT since around 2015, joining the Scotland Committee in summer 2017.